Creating an infrastructure to support the blue economy is critical to the success of Ireland’s integrated marine plan, Harnessing our Ocean Wealth. A key infrastructural element to support the maritime sector will be officially activated tomorrow at the Our Ocean Wealth Conference when the SmartBay Subsea Observatory will begin feeding data from the seabed to businesses, researchers, scientists and policy makers. 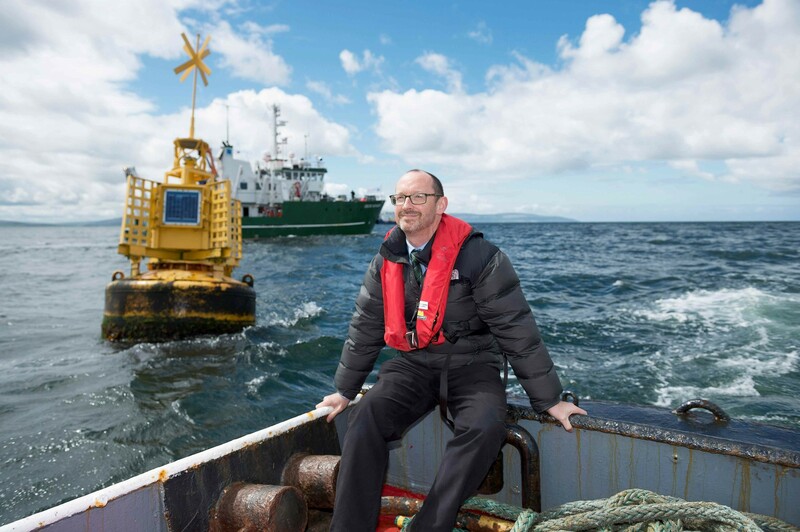 Speaking at Digital Ocean, today at the Meyrick Hotel, Galway SmartBay General Manager John Breslin said: “the SmartBay observatory represents the Internet of Things for the marine. Thanks to the extensive underwater equipment we have installed, real-time data from sensors can be accessed through the web and analysed by researchers and companies trying to commercialise novel marine technologies. The information from the subsea observatory will accelerate developments in the marine sector and contribute to environmental monitoring, the development of ocean energy technologies, education and research as well as maritime security. It is a hugely significant addition to Ireland¹s Digital Ocean IoT infrastructure”. In 2015, the RV Celtic Explorer was used to lay a 4km cable and a frame was installed on the seabed to which sensors and monitoring equipment were attached as part of the development of the ocean observatory. Now for the first time, the cable will supply power to the site and allow for unlimited data transfer from the site for researchers testing new and innovative marine technologies. “The SmartBay subsea observatory will greatly enhance our understanding of the sea, the impact of weather and climate change, and how the sea reacts in various conditions and how our man-made products will react underwater. The subsea observatory will essentially feed data from the sea floor up to the surface and this information will be vital to accelerate marine research, blue economy businesses and startups,” said Marine Institute CEO Peter Heffernan. Speaking from the Digital Ocean event in Galway, Dr Elena Martines, Science Foundation Ireland said, “As an island nation, Ireland’s potential to use our seas and their energy is enormous. Science Foundation Ireland are delighted to have provided support for this key infrastructure to enable both industry and academic researchers to discover and utilise this natural resource. The sensors and devices that can be run on this test facility will be able to conduct live-real-time analysis of ocean energy devices, environmental monitoring, aquaculture and fisheries, and shipping. The test facility means that we can provide what is called “decision support” to industry on a whole range of practical devices. This is the internet of things meeting the sea”. The ‘Digital Ocean: A Pathway for Developing Ireland’s Blue Economy’ is organised by the Marine Institute, Department of Jobs, Enterprise and Innovation, IDA, Enterprise Ireland, Science Foundation Ireland, Sustainable Energy Authority of Ireland, the Irish Marine Development Office and SmartBay Ireland. 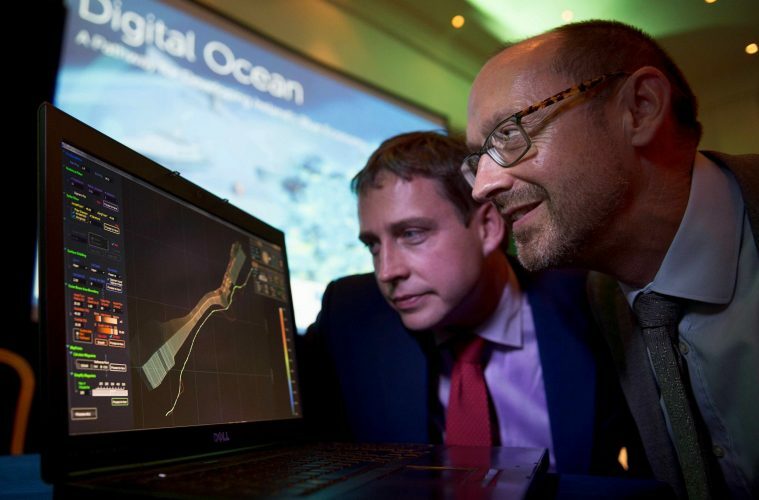 The event focused on Ireland’s digital ocean opportunity highlighting how technology companies can drive new forms of innovation in the blue economy. It featured insights from a number of companies from the technology sector including IBM, Ericsson, Cathx Ocean, Intel, Teledyne Oil and Gas, SAP, IMERC, MARS Innovation Centre NOC UK, SFI MaREI Centre, Hewlett Packard Enterprise, Wood Group Kenny, OpenHydro, JFC Marine, Technology from Ideas, SeaPower, CadFem, Commissioner of Irish Lights, SFI Research Centre CONNECT, SFI Research Centre Insight, Deloitte, demos from SonarSim, Techworks Marine and others. Next ArticleEmotional Resilience by Geetu Bharwaney, reviewed. Perhaps the future is remote working?